I know we last reported that Hank Haney was going to be in Tiger Woods PGA 09, but we had no information on the swing mechanics for the game. Fret no more! I’m please to report to you that IGN’s has a great write up on this nagging issue in their recent hands-on preview of Tiger Woods PGA 09. We’ve got some great news to report, though. 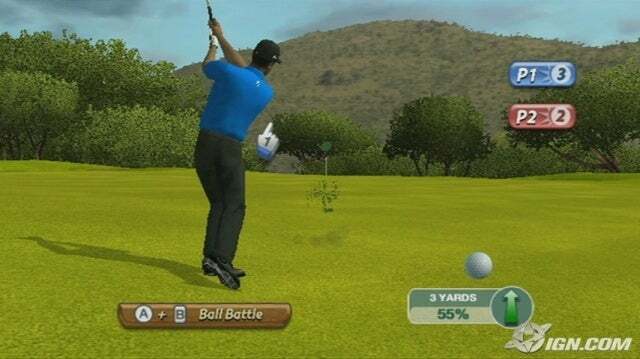 EA has gone back do the drawing board with Tiger Woods PGA Tour 09 for Wii and the end result is a game of golf that feels both much more tailored to the Big N’s platform and more polished than it ever has before. You will notice this newfound presentational finesse from the moment the game boots complete with a new interface overhauled with pointer-ready menus, and even better, enhanced in-game graphics. And when you pick up the remote to drive the ball, you’re going to see Tiger’s swing move at a one-to-one ratio with your own — finally. I wonder why it took EA that long to fine tune the swing mechanics? Ah it looks like Tiger Woods 08 was a just place holder, until they got their act together and have the new team up and running and firing on all pistons. Not only that the system allows you to Draw AND Fade! Take your standing position. Twist the Wii remote left and inward to add draw, pull back the controller and make your swing. If you’ve done it correctly, the ball will curve to the left. To add fade, twist the controller outward and make your swing. Done. And combined with the one-to-one system, you’ve got one of the most realistic golfing sims available. Hmm not the way a real golfer does it, but it is a lot better that the previous titles and the other “kiddy” golf games out there. Thankfully, there is another alternative. You can manually set draw and fade with the Wii remote when you preview your shots. Hold the A button and the camera will sweep over the course and toward the area at which your ball will land. Well you can’t beat them all? As long as you have the ability to control the power and pacing of the swing, that is good enough for me. Especially in regard to that horror Chip shot bug in Tiger Woods 07. In normal swing mode, it’s very difficult to accidentally add draw or fade. Your drives will usually fly straight unless you really slice them. And you can manually add draw and fade at the lie. In advanced mode, your swings are measured more precisely and every nuance could reflect positively or negatively on your drive. In other words, it’s extremely easy to flub a shot if your swing is not absolutely straight, but it’s also much easier to add draw and fade without really twisting your remote inward or outward. In advanced mode, you aren’t able to manually add draw and fade at the lie — it’s an option made specifically for purists who don’t want any traditional assistance. Finally, some difference in the two modes. I could never tell what they did in the earlier Tiger Woods PGA versions. They both played out the same for me. On the opposite end of the spectrum is the All-Play control option — a setup very clearly created for videogame novices. Rinaldi often cites younger brothers and grandparents, not to mention kids, as the prime candidates for the control configuration, which can be accessed in-game at any time. I think this is a big one, not only will it cater to many types of players, but the ability to switch it on the fly is powerful, and people can just jump on and off the game anytime even playing with different settings. This increases the group game play experience element by leaps and bounds. Well all the rest of the bells and whistles are there, a quick stroke game or a full blown PGA career, Tiger Challenges, the ability to jump right into the FedEx Cup, and of cause Hank giving you tips and tutorials in the fully developed club tuner. However let wrap up this discussion with one last big news, we not are able to run a flight of 4 players ONLINE! Honestly, I did not quite get how this co-playing would pan out, I supposed you dont have to worry about the slower players, and you just get to play your own game. Regardless it is a good first step, and I can see the potential there. In conclusion, I am looking forward to this version of this game franchise, and will be doing a full review when I get is. So do stay tune to WiiGolf.net for the latest in Wii Golf action! A BIG Thanks to WiiGolf.net reader Spikel for the heads up! Is the Tiger 09 available for Wii at this time? Not yet, but do stay tuned to WiiGolf.net for the latest Tiger Woods 09 news! It looks like it will be out in Aug this year! Wait its this month! Segway X2 for the Golf Geek! It’s Official: Tiger Woods PGA Tour 10 is the Best Golf Game on the Wii! Why we should Wii Golf? Tiger Woods PGA 09 Trailer – Walk on Water! Tiger Woods PGA 09, Out this Month! 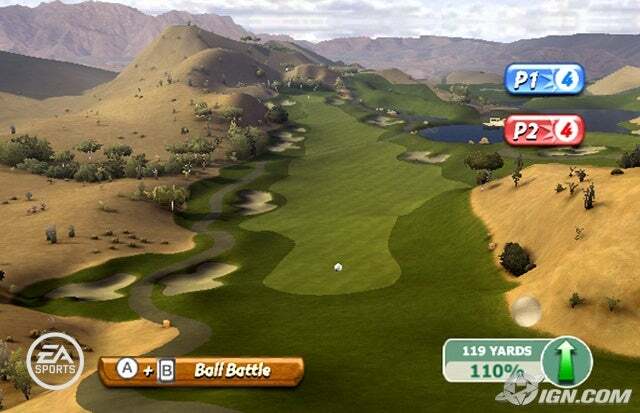 The Wii Improves your Real Golf game, Honest! Networking golfers passionate about golf on the Nintendo Wii Screen and on the Green!